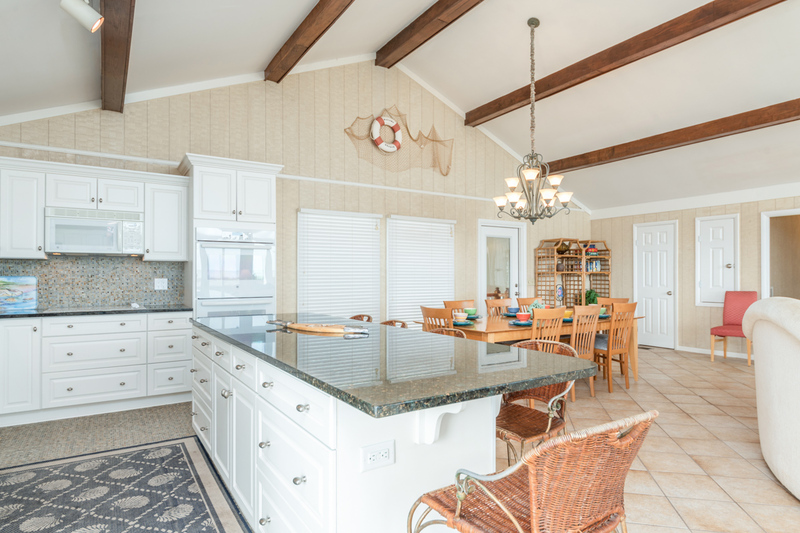 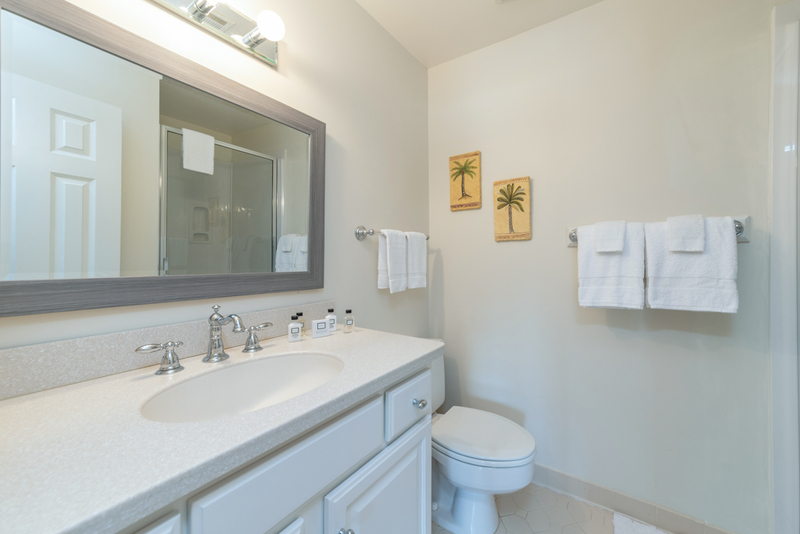 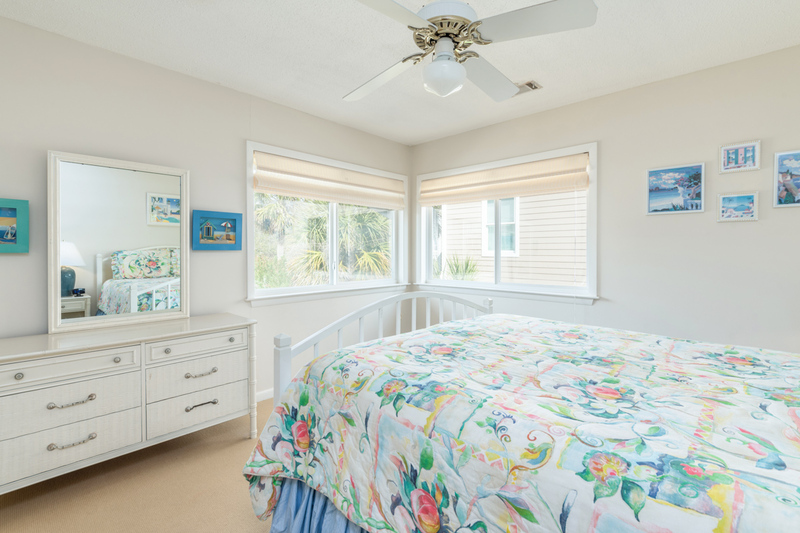 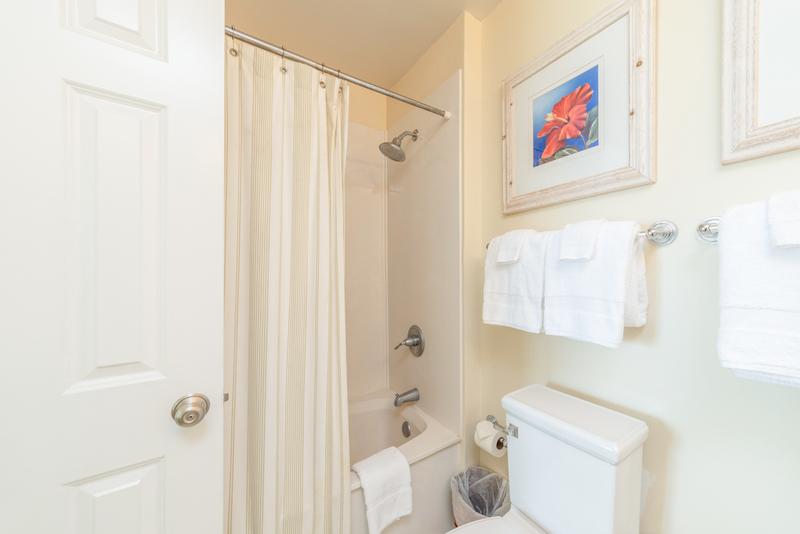 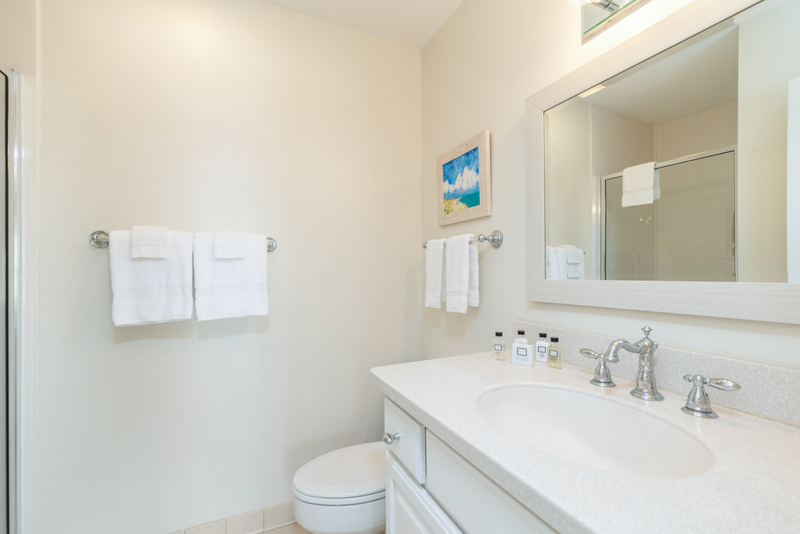 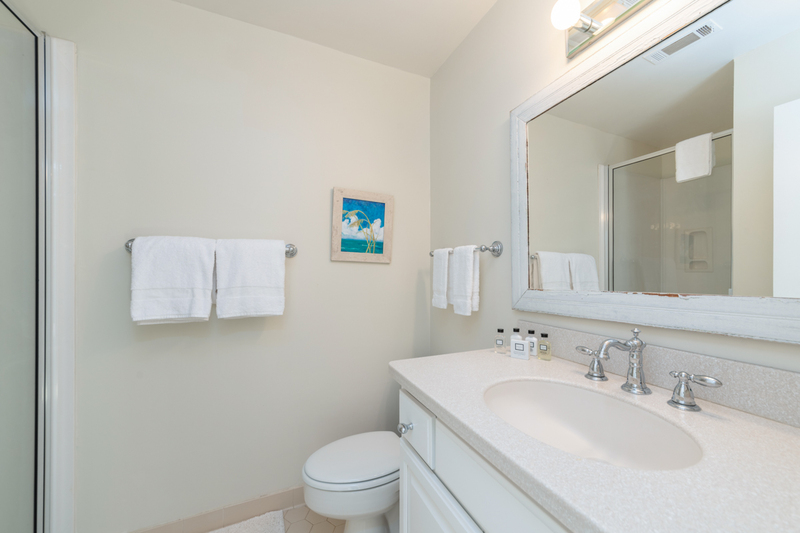 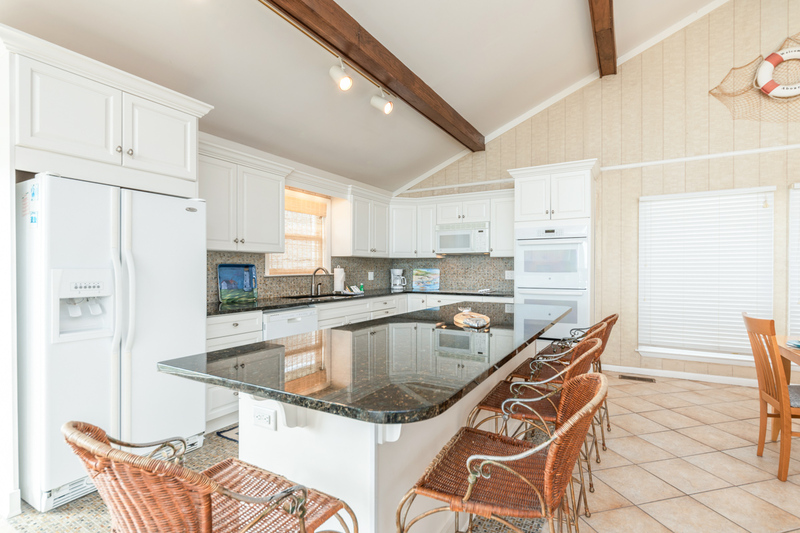 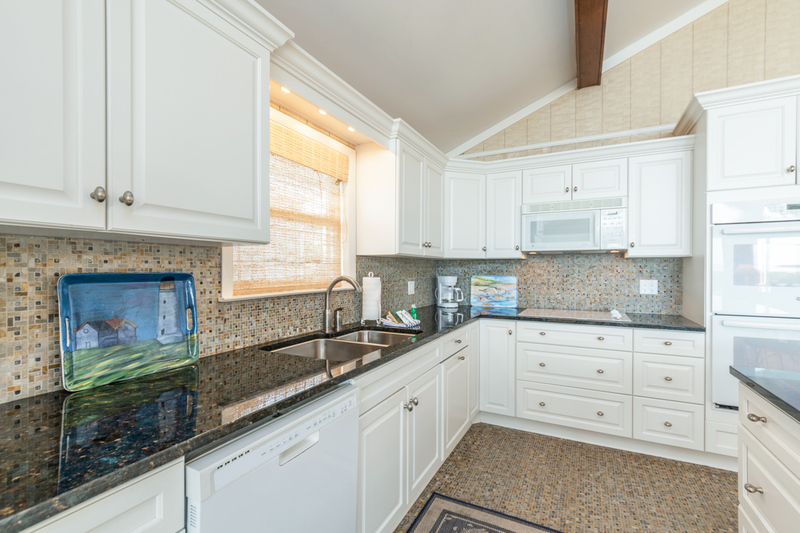 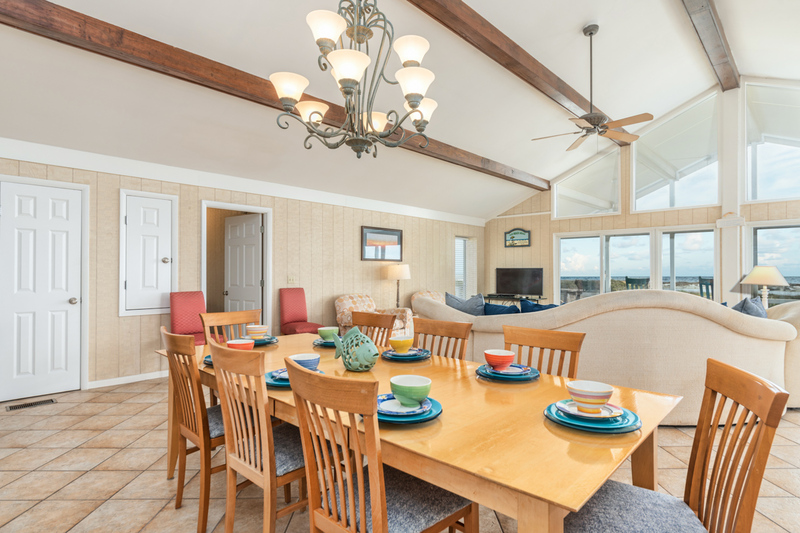 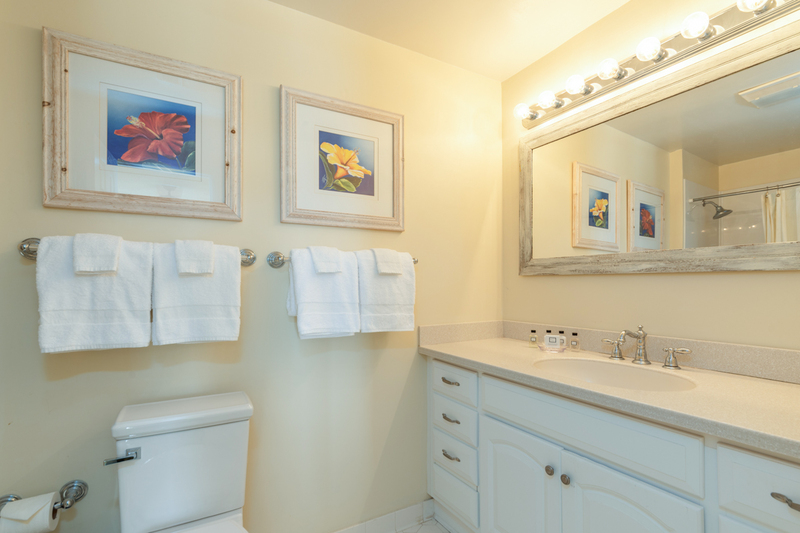 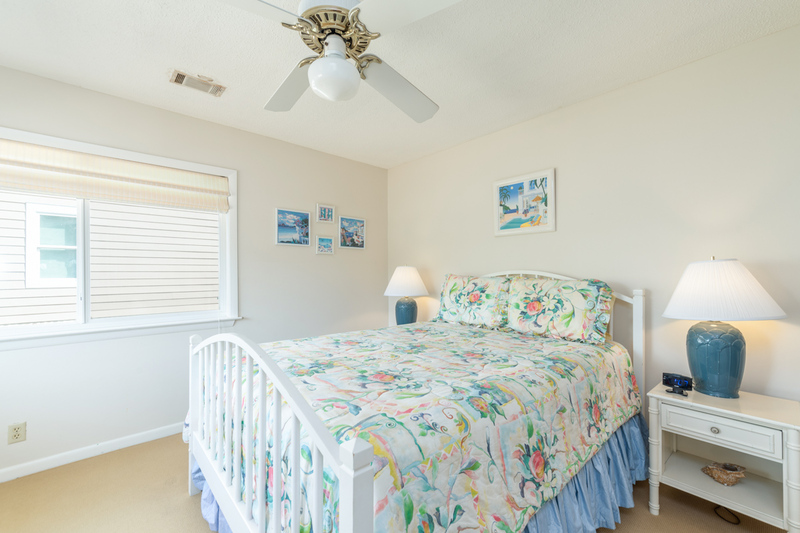 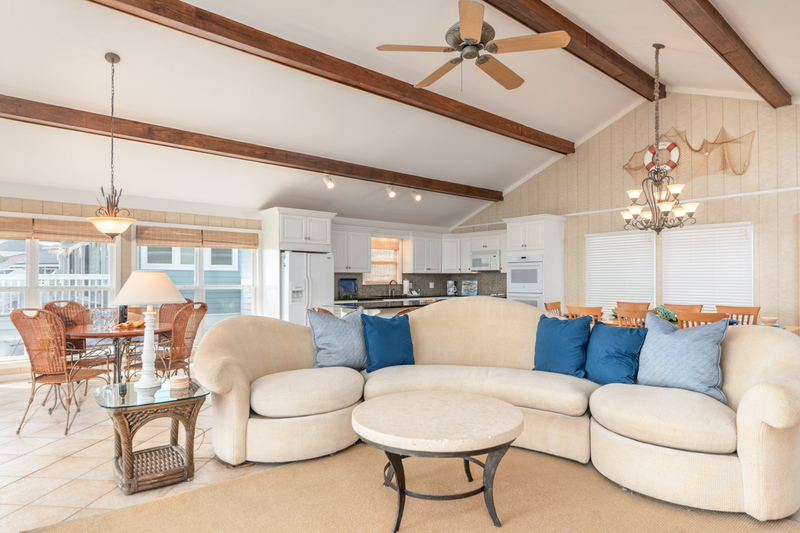 With four-bedrooms--each with an en-suite bath--oceanfront Serenity by the Sea is ideal for large families or a multiple couple beach getaway. 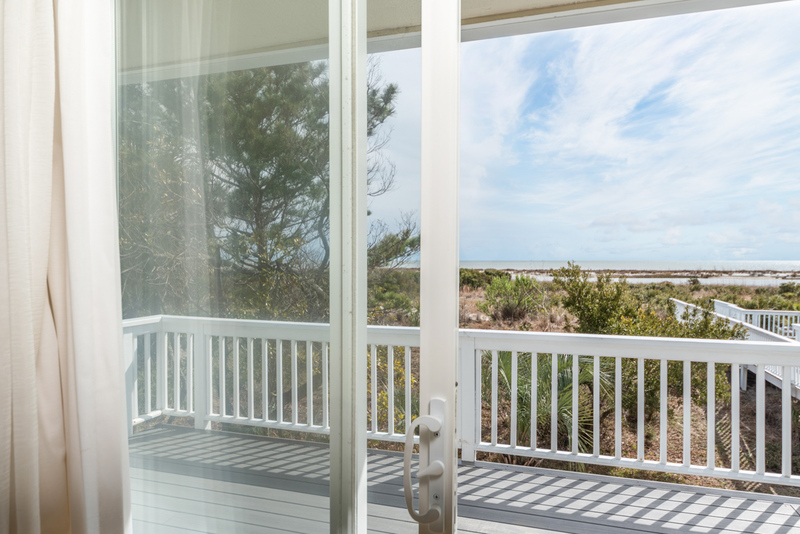 Guests can enjoy stunning views of the Atlantic Ocean from the home's great room, with its floor-to-ceiling windows, or from the expansive screened-in porch. 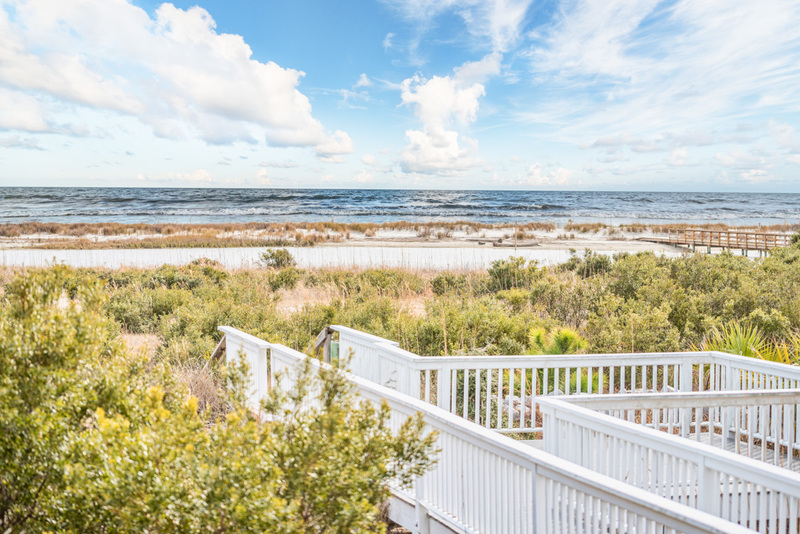 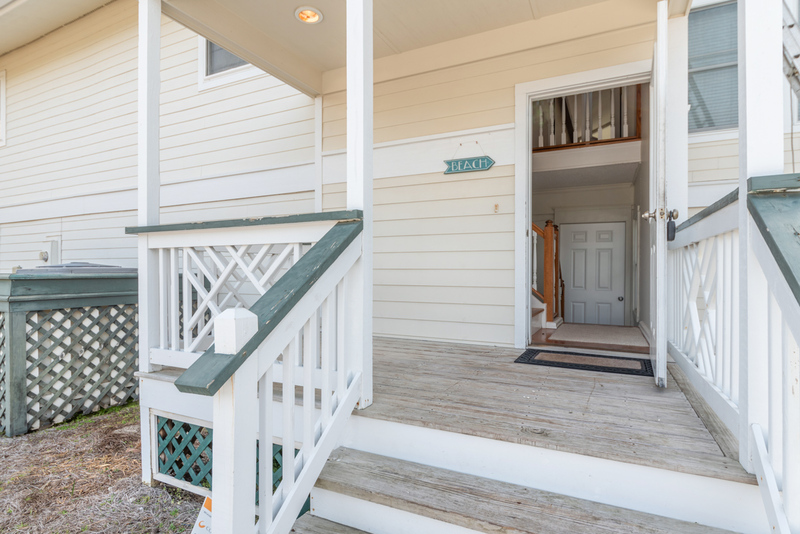 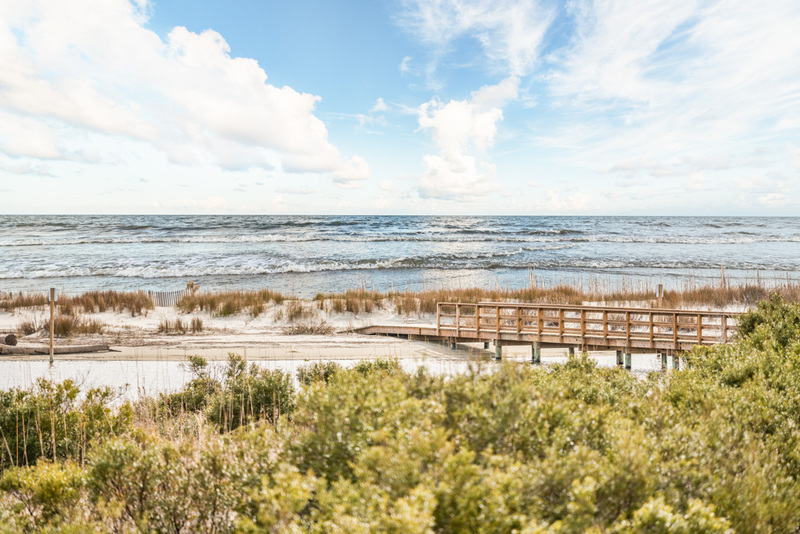 The beach is just a few steps away, accessible via boardwalk. 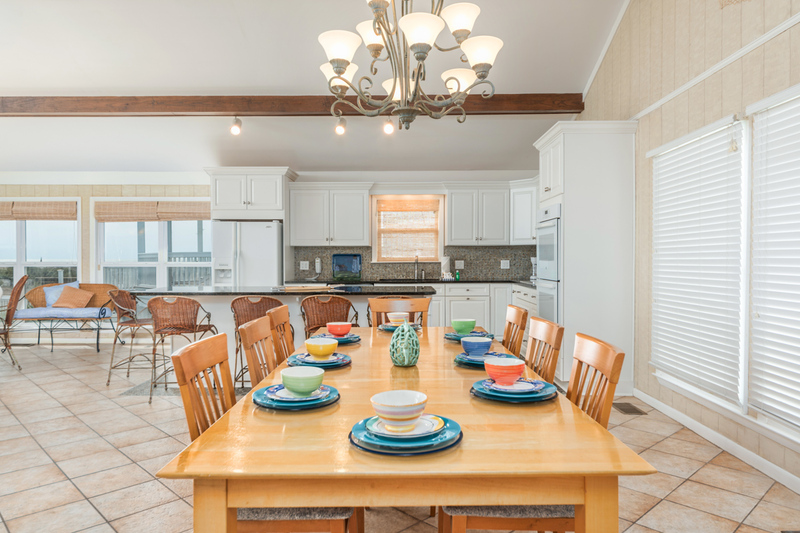 The bright open floor-plan is conducive to gathering together as a group. 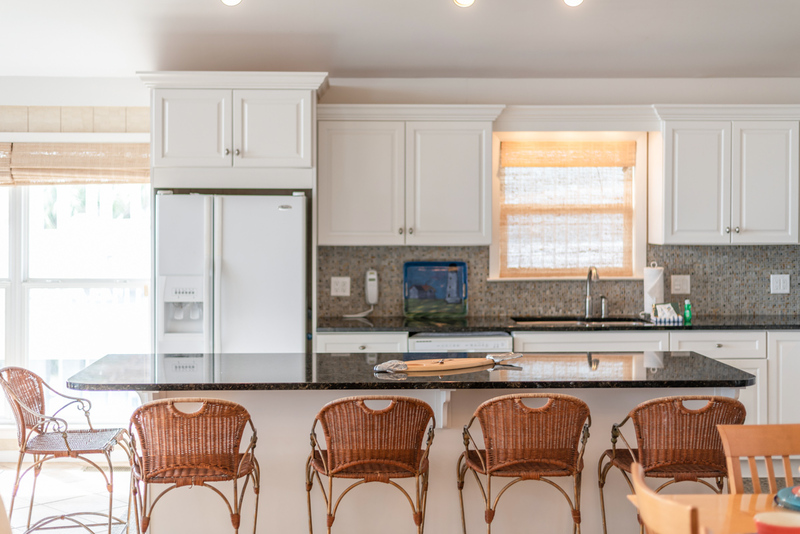 Avid cooks will find the kitchen very well-appointed with granite counter-tops, a double oven, breakfast bar which seats five and two dining areas; one with seating for eight and another for four. 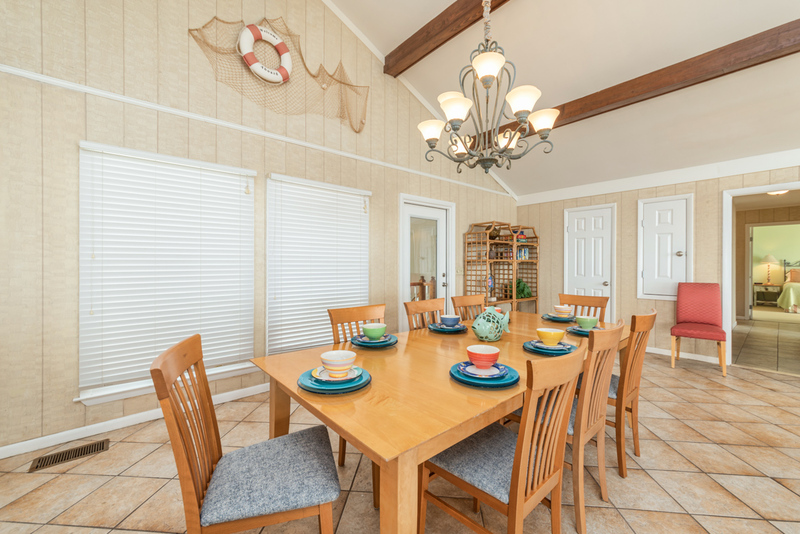 The dining area flows directly into the living room, which features a flat-screen TV, a comfortable sectional sofa and two chairs. 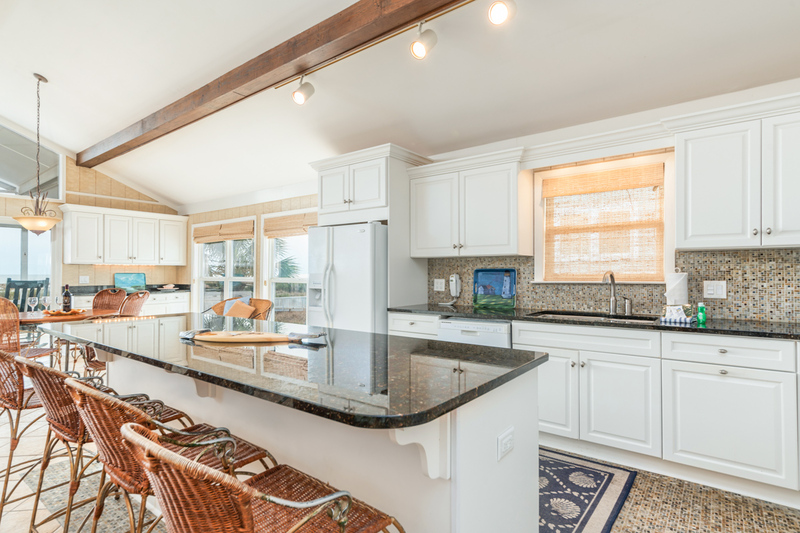 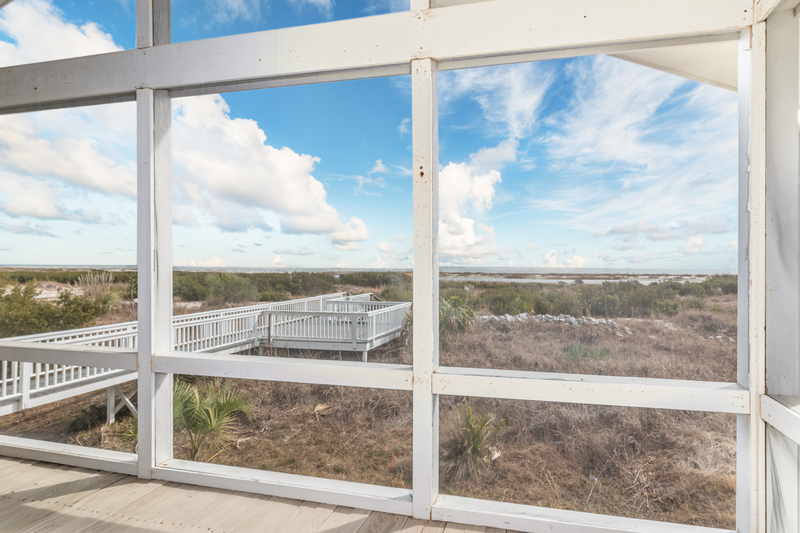 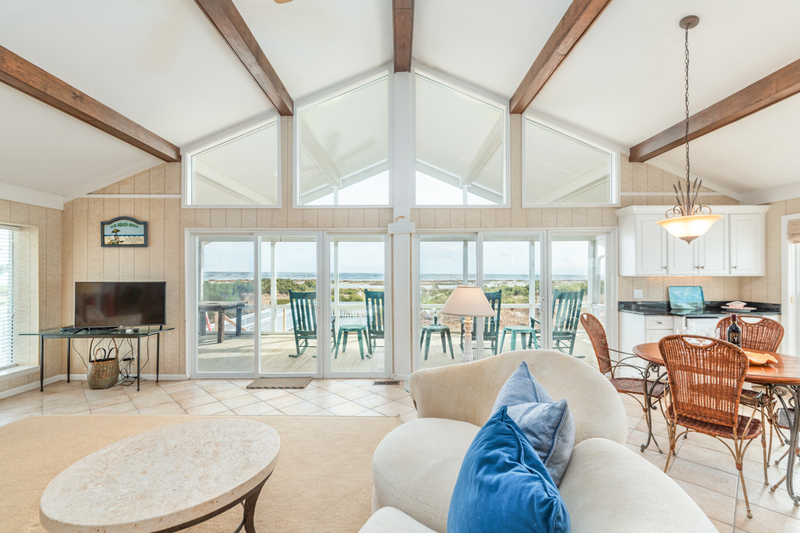 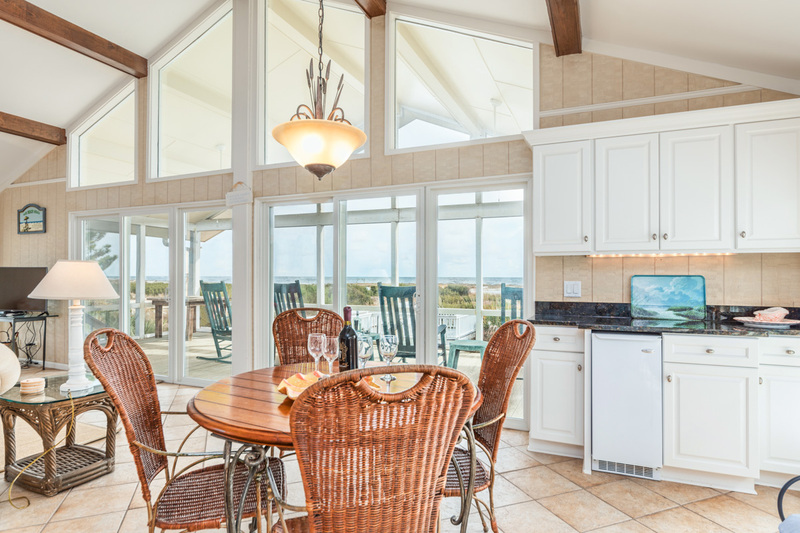 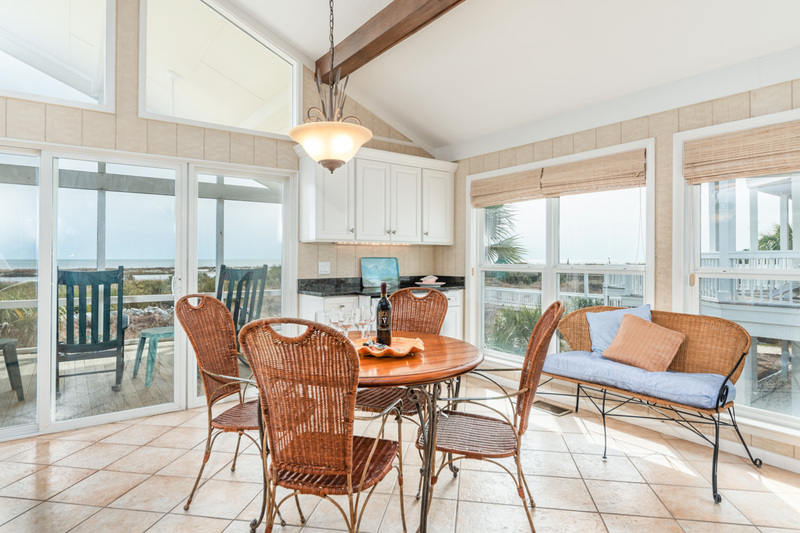 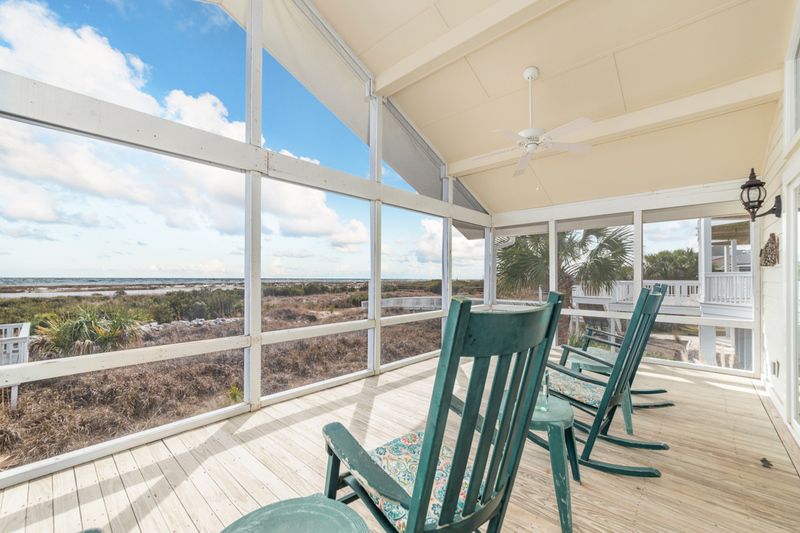 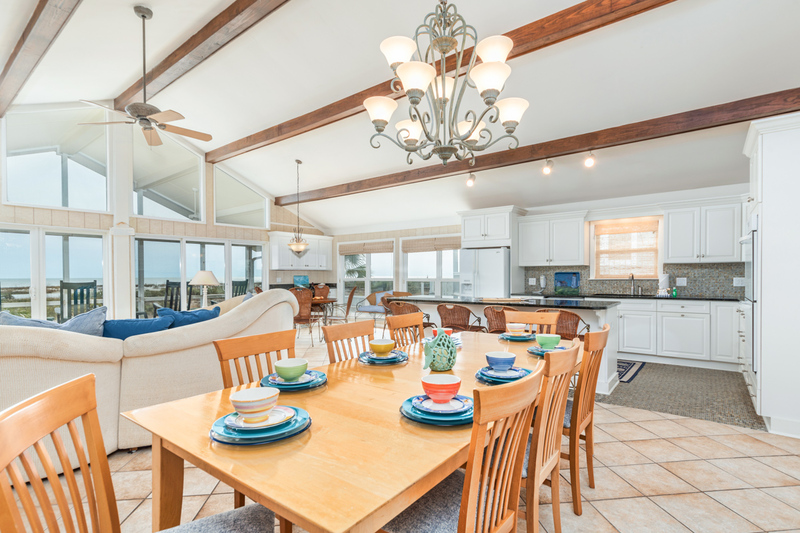 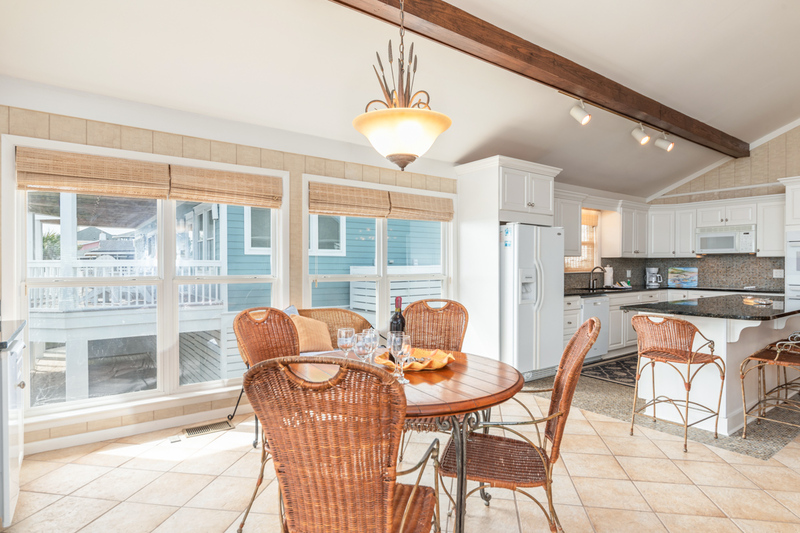 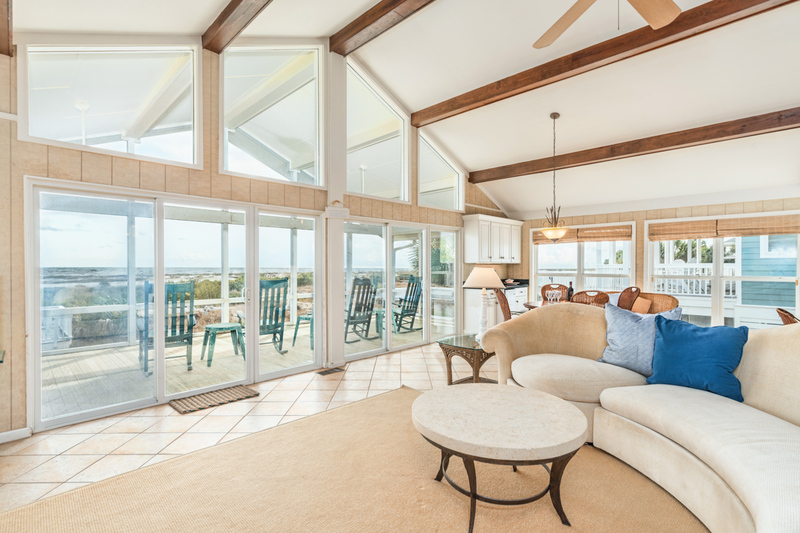 The screened-in porch, replete with four rocking chairs and magnificent beach and ocean views, is the perfect place to enjoy coffee in the morning, or a glass of wine in the evening. 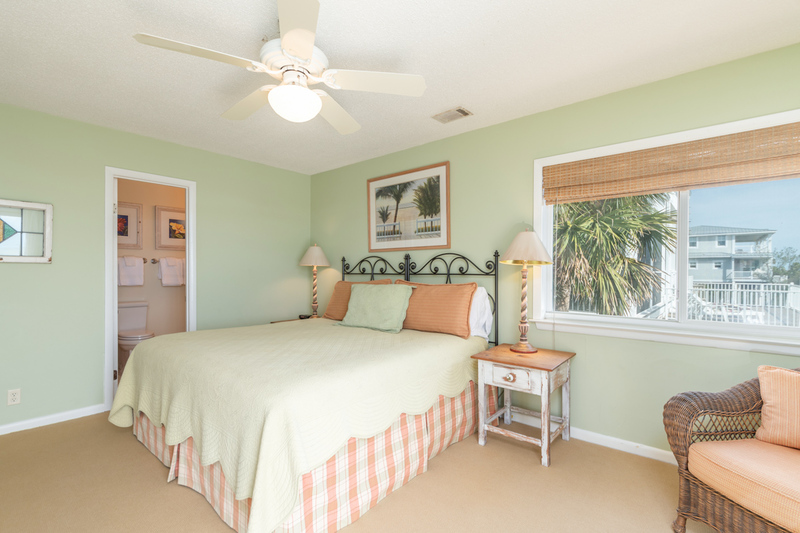 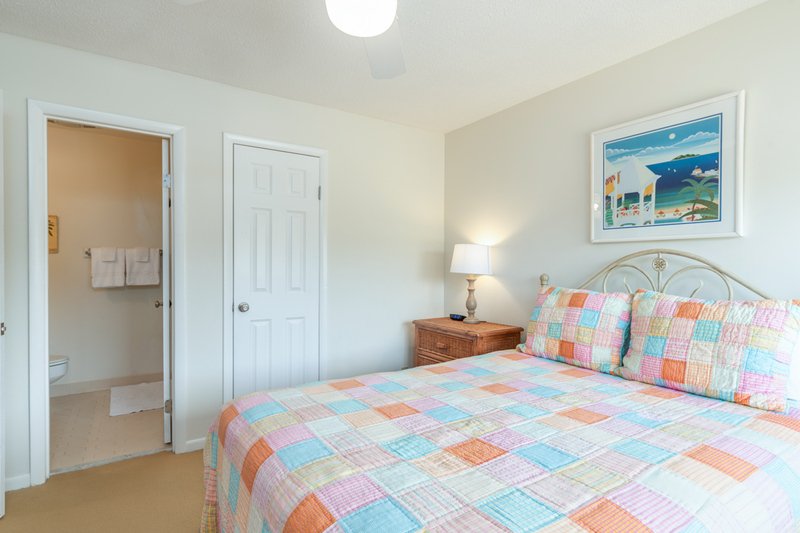 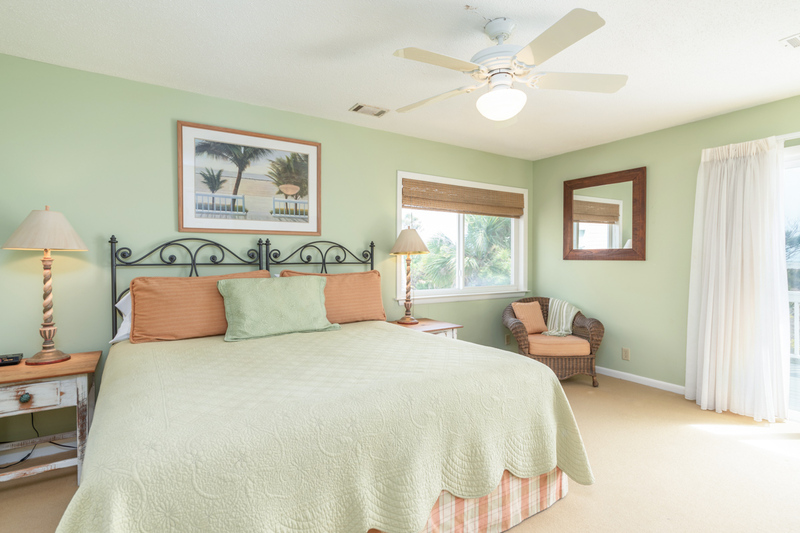 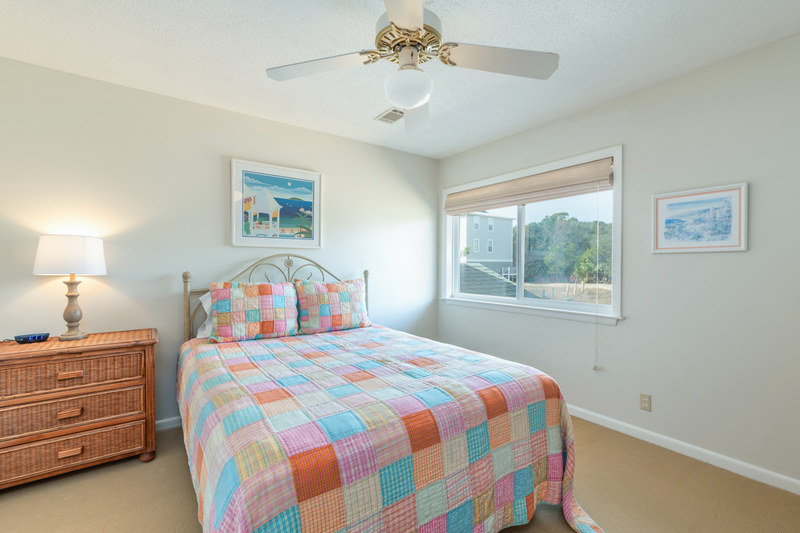 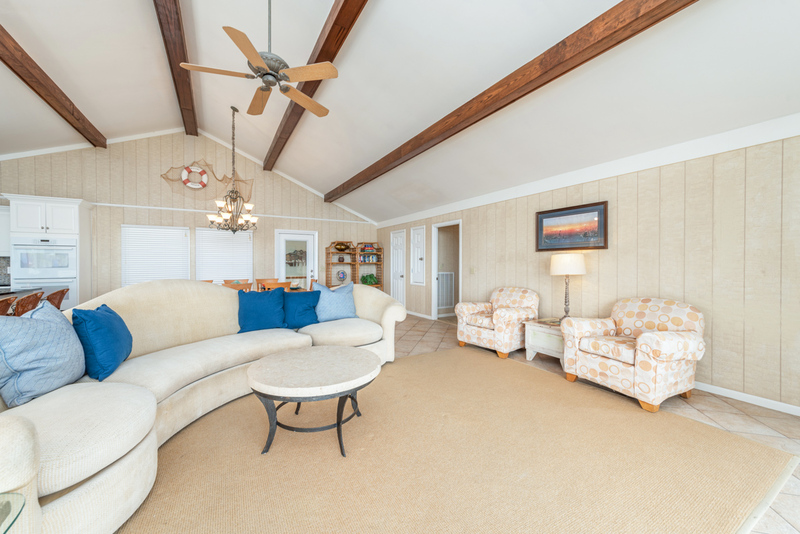 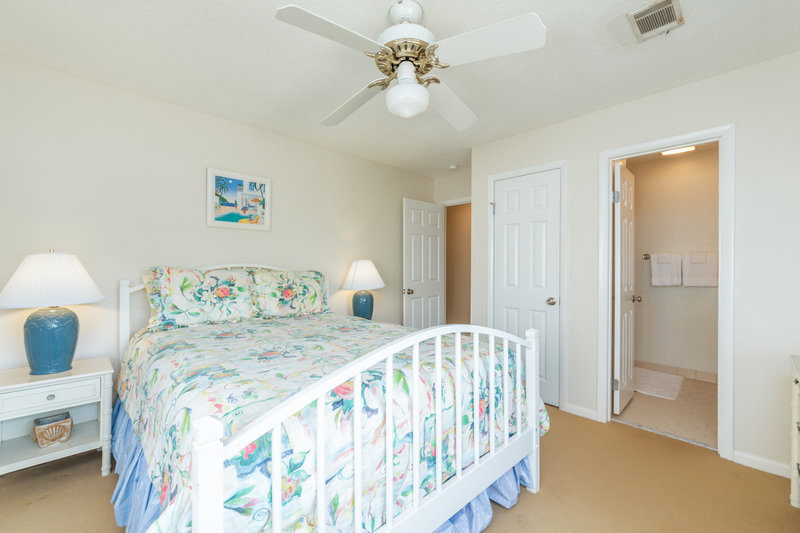 At the end of a busy day on the beach, guests can get some rest in one of four bedrooms. 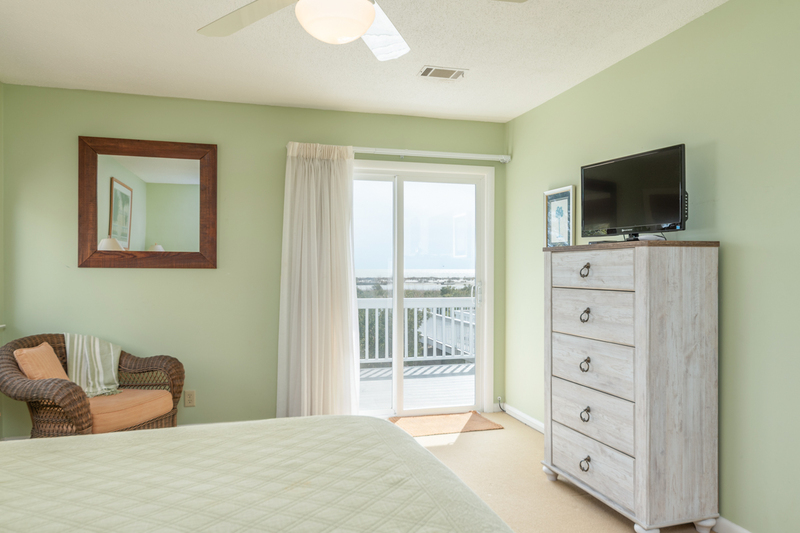 The master-suite has a king-sized bed, flat-screen TV, access to a deck via slider and an en-suite bathroom with shower and tub. 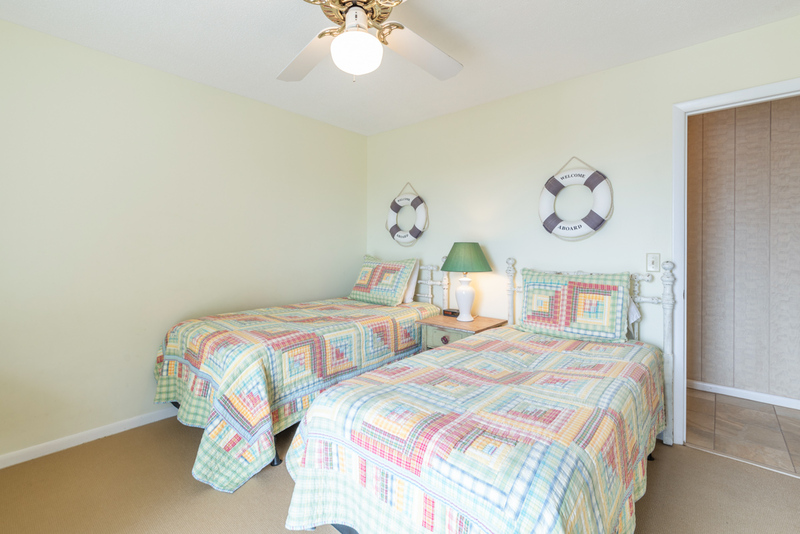 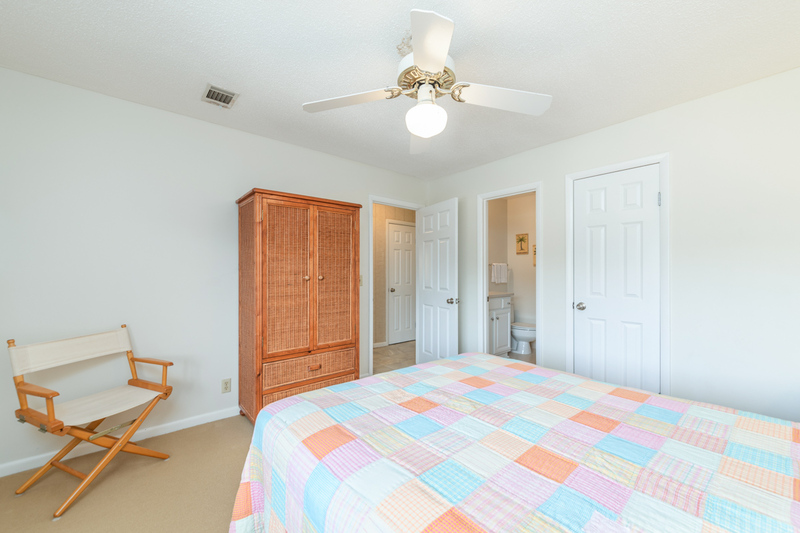 Two of the remaining bedrooms feature queen-sized beds and there is a fourth bedroom with two twin beds. 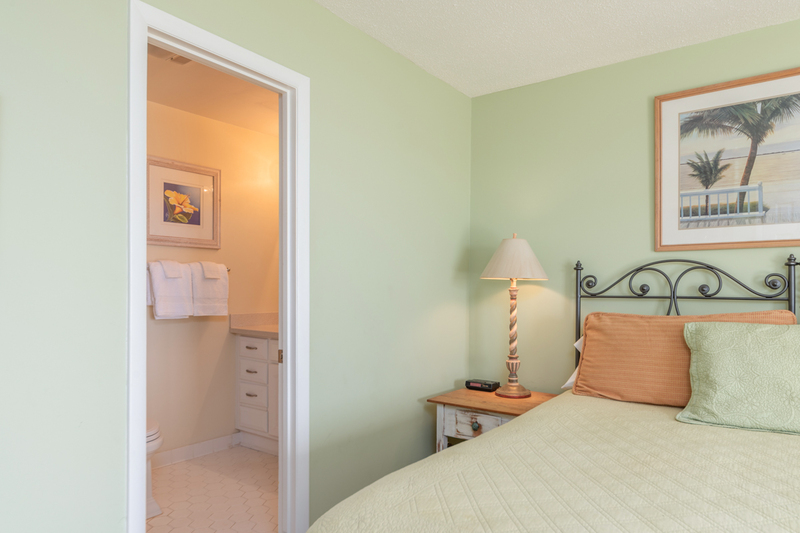 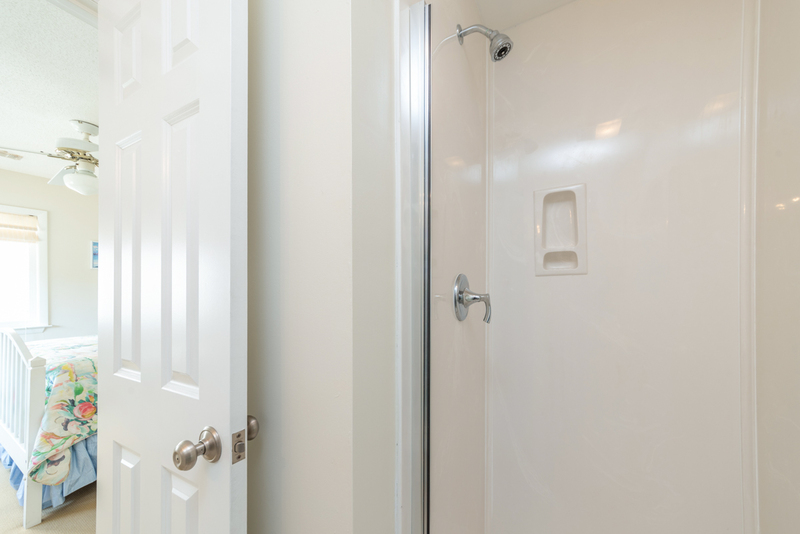 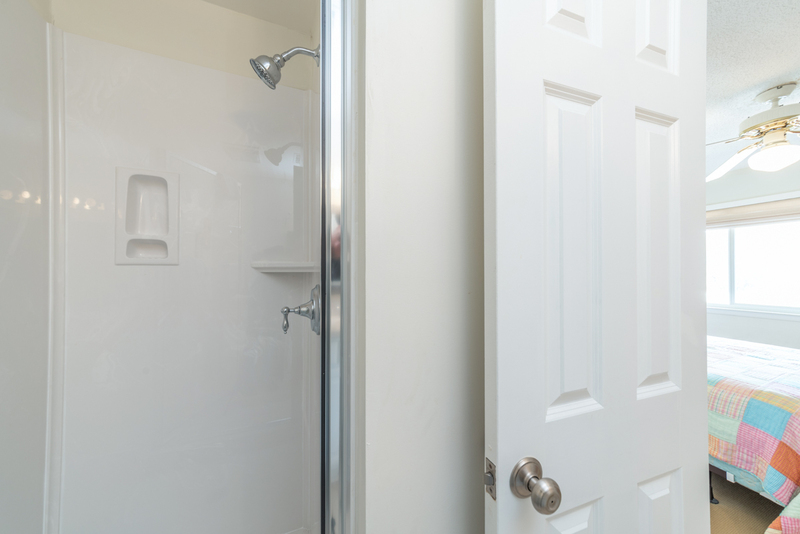 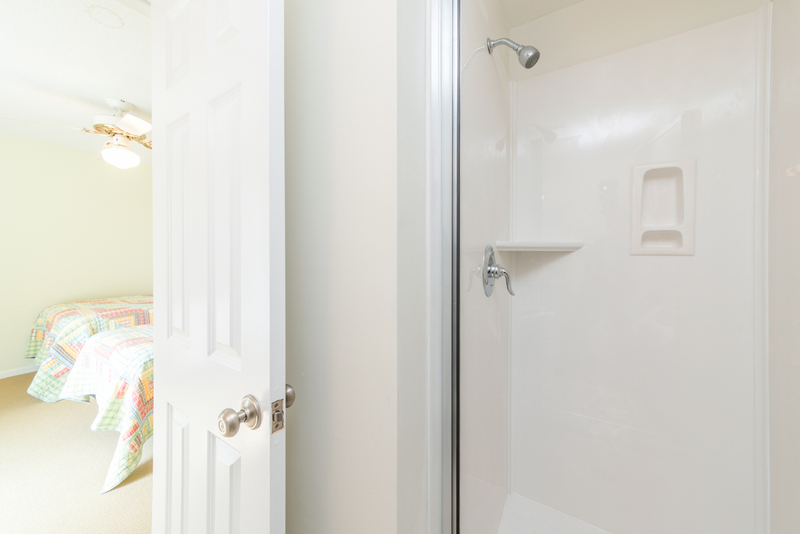 Each of these bedrooms have their own en-suite bathrooms with stall showers.